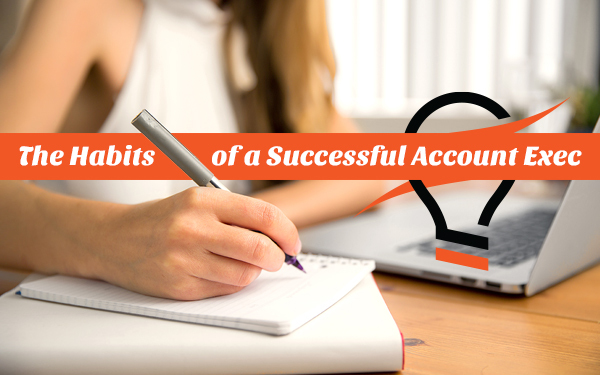 “What makes a great account executive,” you ask? It’s not easy, and every account executive has their own unique approach. But there are some tried-and-true habits that we consistently employ to strengthen relationships with our clients. Get out of the agency office and into the client office. This may seem old fashioned, but we believe client contact is still the most important aspect of account service. Time at the client’s office allows our account executives to collaborate with clients on ideas we can execute or enhance. We like to meet formally with a client at least once a week. If it’s not possible to meet once a week, we meet once a month. The bottom line is: face-to-face contact is crucial for maintaining and building relationships with our clients. Being present and using good listening skills helps alert our account executives to clients’ needs and wants. Our account executives know as much as they can about our clients’ worlds. We do our research! We create reading lists and read client trade magazines, financial analyses and annual reports. We understand our clients’ industry trends. We know the competition and where they stand relative to the client. And, we know the client’s customers. Our preference is to have monthly Client Knowledge Meetings. In the meeting, our account executives review the latest client-related information available online: news stories, product releases, etc. We review information published in trade magazines and overview the client’s competition, including their advertising efforts. We research industry trends and events. Staying in step with the client, or maybe even a step ahead, means our account executives can begin preemptively suggesting strategies that enhance our clients’ messaging. Our account executives are fast moving. It’s important for us to be fast, efficient, alert, and able to multitask. Constant communication between our clients and account coordinators makes sure projects are always moving forward. For our clients based far away, this practice is even more important. Want to see what it’s like to receive outstanding client service? We can show you! Let’s talk soon and discuss how we can go above and beyond for your brand.